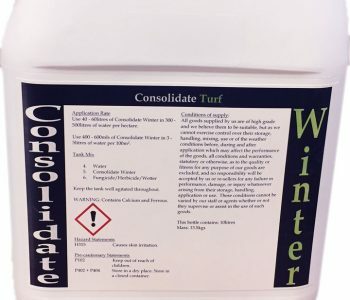 Consolidate Winter Turf Hardener is a well balanced stabilised nitrogen complex promoting plant health containing: 6N, 4 CaO, 1.2 MgO, 2 Fe, 0.1 Mn, 0.1 Zn, 0.1 Cu, 0.05 B plus a blend of seaweed and sugars. 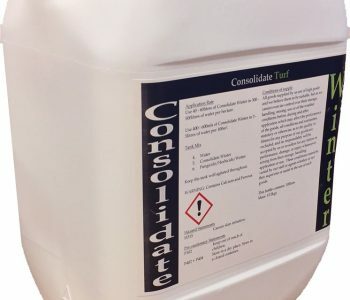 Consolidate Winter Turf Hardener is manufactured using the identical components as our leading flagship product Consolidate Plus+. 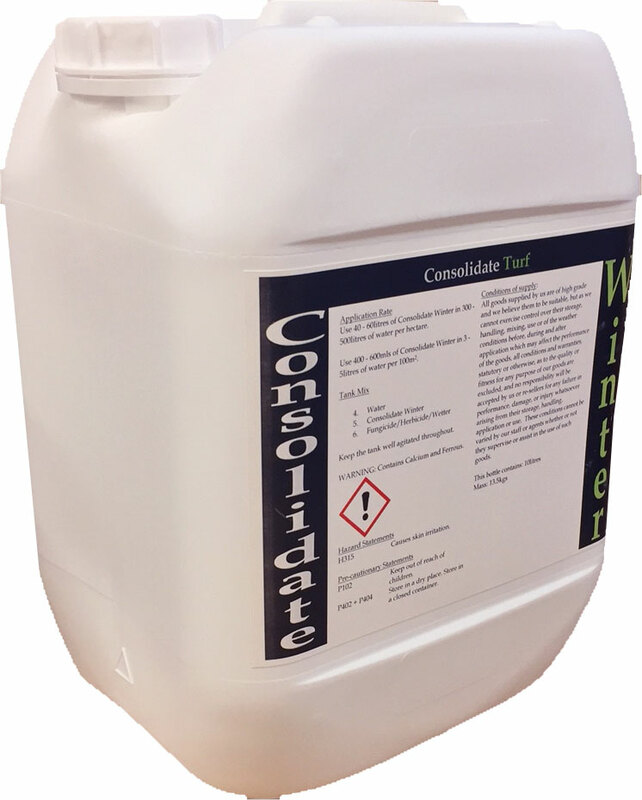 However, we have altered the analysis ratio in order to provide an alternative product for the challenging winter months. We have decreased the level of amine nitrogen whilst increasing the levels of both iron and magnesium. 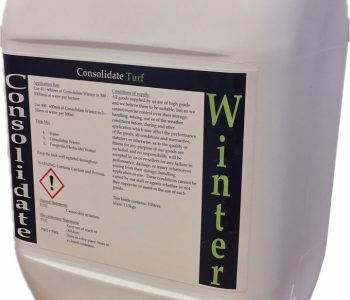 This keeps the plant balanced and healthy throughout the winter, making it less stressed and more responsive earlier in the spring when temperatures start to rise. Quicker recovery from wear and tear. 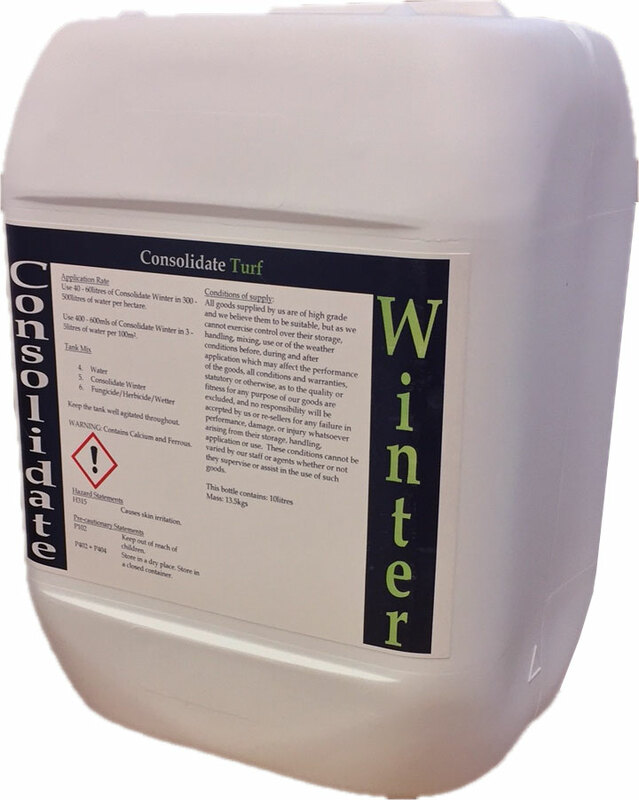 Reduces stress from drought, frost and water logging. 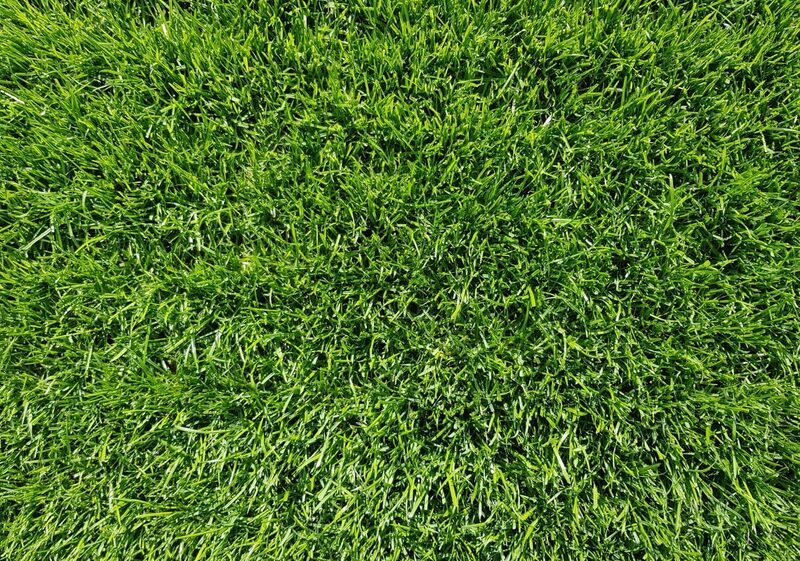 Use 40 – 60 litres of Consolidate Winter in 300 – 500 litres of water per hectare. 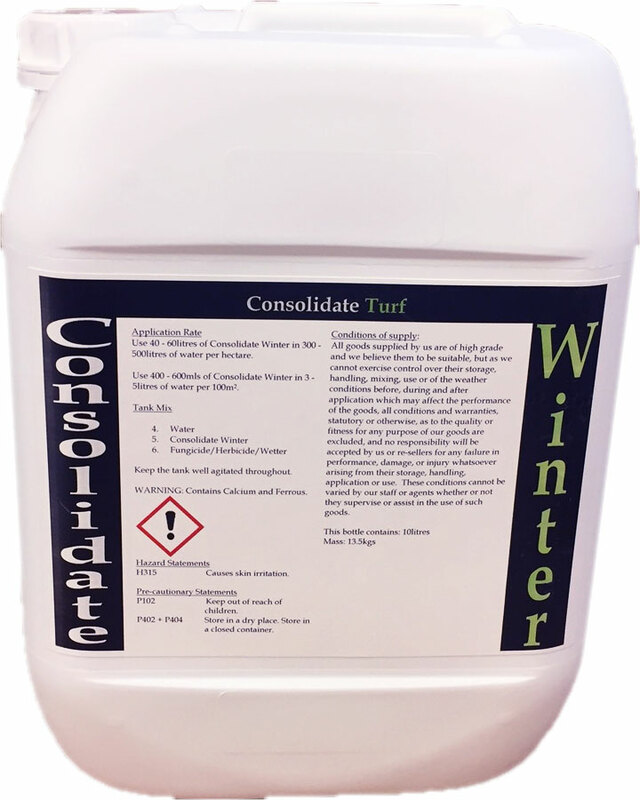 Use 400 – 600mls of Consolidate Winter in 3 – 5 litres of water per 100m2.